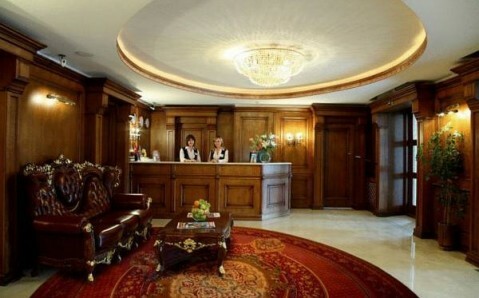 Elegant rooms with flat-screen TV and free Wi-Fi, 2 pools and a large spa area are offered at this 5-star spa hotel. It lies 10 km from Truskavets Train Station. The bright rooms at Royal Hotels and SPA Resorts Geneva each feature a minibar, safe and kettle. The private bathrooms have heated flooring, toiletries and a hairdryer. Bathrobes and slippers are provided. Varied evening buffets and international dishes are served in the Geneva’s large restaurant. Guests can enjoy drinks in the bar or outside on the terrace. 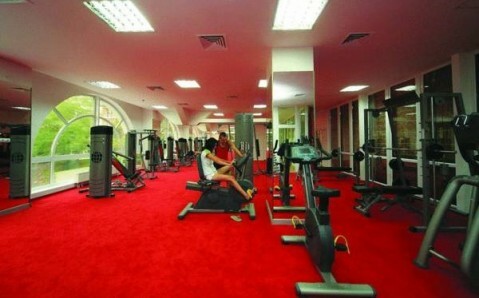 The Geneval Royal Hotel offers a wide range of leisure facilities, such as a sports hall, tennis courts and gym. Massages and beauty treatments can be booked at the spa, which features saunas and spa baths. Medical centre is also available. Truskavets Airport is 90 km from the hotel.